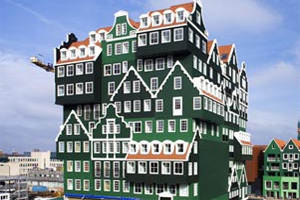 In 2010 just a few kilometres from Amsterdam the new Inntel Hotel Zaandam opened. Immediately it became the talk of the town due to its outstanding architecture. Arriving at the hotel you won’t believe your eyes. You are looking at local Zaandam wooden houses at a literary fantastic way. The architect really indulged himself, not only the exterior but also the interior of the hotel has the character of the nearby “Zaanse Schans” where the history of the area can be found in many details. 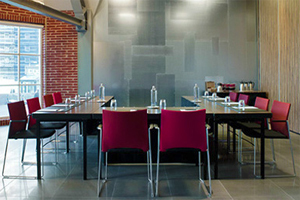 The modern 160 room 4* hotel is 15 minutes by train from Amsterdam and Schiphol international airport.